Invest in Microgrids — What's Driving Organizations and Businesses? In this week’s Industry Perspectives, James Redden, vice president of energy asset development at Ameresco, sets out three key factors — beyond financial returns — motivating C-suite executives to invest in microgrids. Microgrid economics continue to get better. Costs are declining and system performance improving to the point where microgrids offer attractive, steady financial returns across an expanding geography of U.S. power markets. 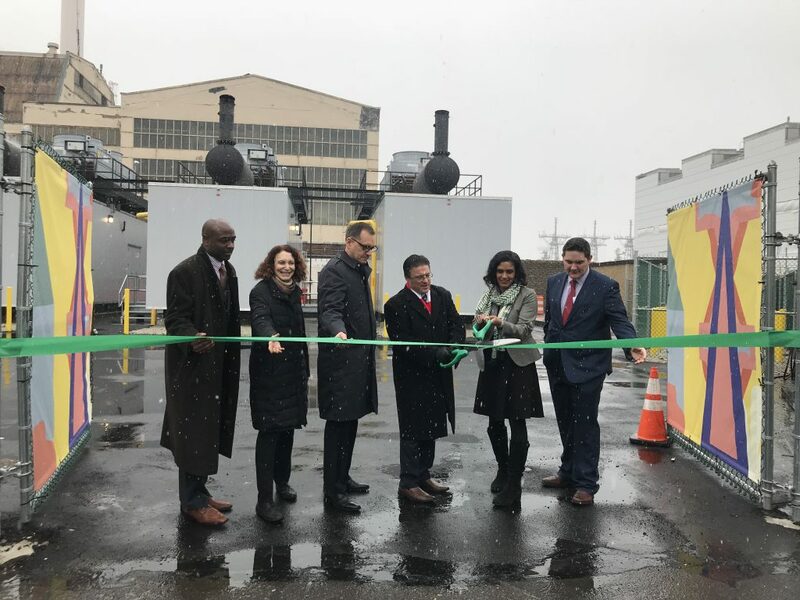 Ameresco served as project developer for a a generating plant that will serve as anchor for the Philadelphia Navy Yard microgrid — one of the largest private microgrids in the U.S. But it is not economics, alone, driving organizations to invest in microgrids. Three key motivators are emerging: the pursuit of sustainability, resiliency and outsourcing potential. Microgrids offer the means to achieve all three coincidentally for businesses, government agencies, and institutions, such as schools, colleges and hospitals. These three trends are drawing C-suite level attention to microgrid projects, as university presidents and corporate CEOs increasingly focus on social, environmental, economic and sustainability goals within their organizations. Ameresco is working with industrial customers that aim to realize a wide range of improvements along these lines. We have seen many leading, multinational corporations carrying out plans to manufacture, produce and distribute their products and services and conduct their businesses in more sustainable ways. Reducing carbon emissions figures prominently among them. By incorporating local, zero- or low-carbon energy resources, such as solar, wind, biomass, combined heat and power (CHP) and renewable gas, microgrids can go a long way towards realizing an organization’s carbon neutrality and sustainability goals. Other innovative ways of producing and acquiring local, emissions-free energy are emerging, as well. For example, Ameresco is one of the largest producers of renewable biogas — pipeline-quality natural gas produced from organic waste — in the U.S.
Renewable gas is a carbon-neutral energy resource that can be used to feed CHP systems. In partnership with the City of Phoenix, Ameresco is building the nation’s largest wastewater treatment biogas-to-renewable natural gas power plant. At present, it’s more expensive to collect, clean and distribute renewable gas for power generating and heating than it is to make use of conventional natural gas. But we and others around the US are working on ways to reduce those costs and spur usage. For instance, Duke University is ramping up efforts to assess the feasibility of building out renewable gas generators and distribution infrastructure connected to hog farms across North Carolina. Duke Energy recently connected a first hog farm-renewable gas operation to a pipeline that feeds one of its natural gas-fueled power plants. And it’s worth noting that North Carolina is the only US state that has set a renewable gas-to-power generation target as part of its renewable energy portfolio standard. Microgrids can significantly enhance energy resiliency. Microgrids have the capacity to disconnect from the utility grid in the event of outages. Switching into autonomous, island mode, they can continue to deliver power and balance essential, critical loads. If it has sufficient capacity, a microgrid may even meet all its host’s energy needs. Furthermore, today’s intelligent, typically on-site, microgrid generation assets are more energy efficient, and faster in response, than the conventional methods that rely entirely on utility grid power and energy services. This is an important, but still evolving, aspect of the microgrid market. A microgrid project might look to battery-based energy storage as a means of enhancing resilience over short periods of time, discharging power to keep a facility up and running until longer term, on-site generation resources — solar PV or CHP — kicks in, for example. 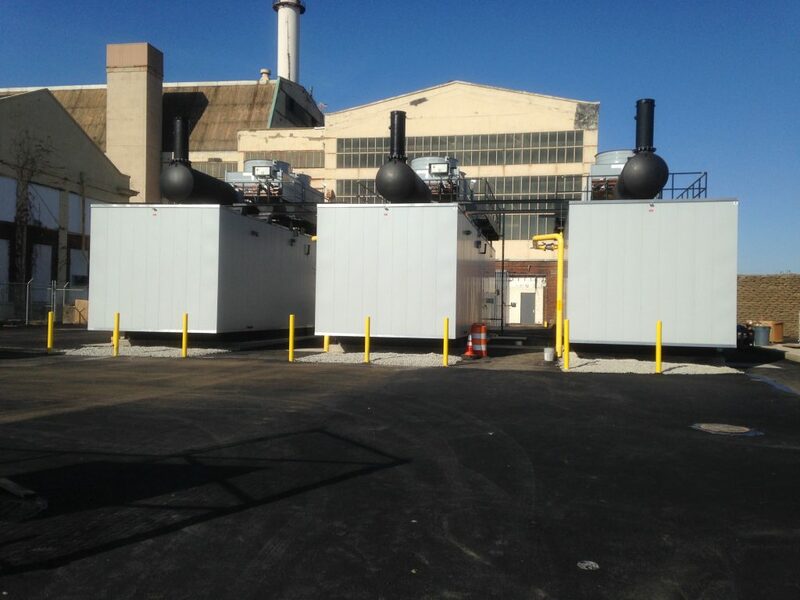 Project developer Ameresco announced completion of the new 6-MW natural gas peaking plant at the Philadelphia Navy Yard in January, in a ceremony also attended by the PIDC — Philadelphia’s public-private economic development corporation and master developer of the Navy Yard — the City of Philadelphia, U.S. Navy, and Mural Arts Philadelphia. Decentralized, adaptive and fast responding, today’s renewable and hybrid microgrids can improve the reliability and resiliency of utility grids by offering grid services, such as demand response, load shedding, balancing and frequency response. That means improved energy reliability and resiliency for all utility grid customers. In addition, microgrids can accelerate adoption and grid integration of clean energy resources. This helps states reach goals for energy storage, clean energy and renewable portfolio standards. Microgrids do this two ways: First, they often incorporate clean energy as part of their internal generation mix. Second, utilities and grid operators can sometimes use microgrids as a tool to balance intermittency created by grid-scale wind and solar projects. This helps relieve the worry that renewables will lead to grid instability — a concern that could slow their incorporation onto the grid. Another trend also dovetails with microgrids — the drive by businesses and organizations to outsource non-core services and activities — including energy — as well as search for ways to monetize assets that have been viewed as cost centers. This is the case for commercial and industrial customers, as well as universities and other educational institutions, which have been outsourcing non-core assets and services for quite a while. The emergence of microgrid-as-a-service contracts, as well as power purchase and energy services agreements, play a pivotal role in this regard. It’s now possible for an organization to host a microgrid and garner the benefits without having to invest any capital upfront, or carry a microgrid as a long-term asset and liability on their balance sheets. 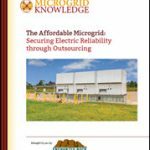 So when pondering whether or not to invest in a microgrid, a business or organization needs to address not only financial and technical priorities, but also secondary drivers. If an organization is pursuing sustainability, resiliency and outsourcing opportunities, a microgrid offers a path to all three. James Redden is vice president of energy asset development at Ameresco. Mr. Redden illuminates an important part of our future. Lots of benefits and even more to uncover.